I was hoping 2019 would be a year of constructive reports on issues around obesity and wellness so we could make further headway on them. But it was only mid-January when British medical journal The Lancet published a report calling for people to eat a mouthful of meat a day, a lot less dairy, more beans, and a lot more plants to improve diets and shift the dial on climate change. Their advice was immediately questioned by disease and epidemiology experts in the US, who said the link between such an extreme diet and health had not been validated and was “not as strong as it seems to be”. The authors also overlooked that most people are unlikely to follow a daily diet of a piece of meat the size of a chicken nugget and one serving of dairy. One nutritionist said that much meat wouldn’t provide enough protein for one meal, and we’d need to consider beans, lentils, and chickpeas. Now, I enjoy them from time to time, but every meal would be boring. Two weeks later, The Lancet Commission on Obesity (which includes Auckland University), called for a tax on red meat and action to curb “food industry excess” to tackle obesity, under-nutrition and climate change – combined under the ominous heading “The Global Syndemic”. A tax on meat and confining ourselves to a mouthful a day would be as sensible as fielding an All Black team brought up on chickpeas and sprouts. For a start, meat (like all foods) is already taxed 15% in New Zealand. To put it in context, in recent years the same public health activists have called for taxes on sodas, juice, flavoured milk, sugar, artificial sweeteners, fat, salt, processed meat, eggs, cereals, cheese, butter, and increases on wine, beer, and bread. Imagine the effect on our poorest families if those were all implemented. The call for industry science and nutrition experts to be excluded from policy-making is Orwellian. The report claimed that “a fundamental and irreconcilable conflict” exists between industry and public health, and partnerships between industry and governments “are a risk to public health”. Total nonsense, and the response was predictable. The London Institute of Economic Affairs said abolishing partnerships between industry and government would mean “bureaucrats and activists, neither of whom have any food manufacturing experience, [would] create mandatory, low-calorie recipes for the masses”. Food Drink Europe said it was at odds with the United Nations’ approach of supporting “meaningful engagement” with industry. There is no conspiracy by industry experts to overwhelm policy people. New Zealand has a transparent approach to the development of policy. Every submission FGC makes is publicly available on our website, and it’s all science-based. 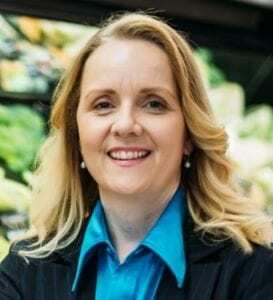 When it comes to setting policy, particularly given the regulatory framework we have with Food Standards Australia New Zealand, not only is industry input required, but if government wants to implement policy, it can’t do so without industry advice on solutions. An example is salt reduction in bread. When the Ministry of Health decided to move on this in 2007, it didn’t have expertise in commercial-scale bread-making, so it commissioned the Heart Foundation to work with industry, which it knew had to be core to the project. The result was a reduction of salt in some breads of 18%, removing 150 tonnes in just one year. Work on other categories (eg breakfast cereals, processed meats) has removed more than 300 tonnes. There was no way that would’ve been achieved if industry experts weren’t involved.